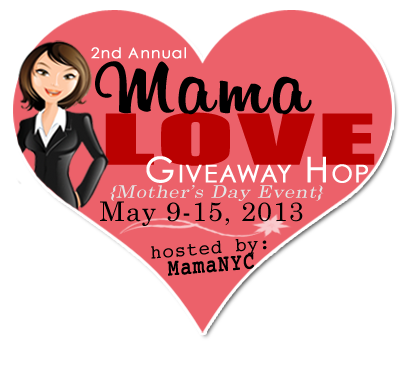 Welcome to the 2nd annual MamaLOVE Giveaway Hop hosted by MamaNYC! Help us celebrate the joys of motherhood — and everything else that comes with the pleasure of parenting. It can be challenging to find a special and unique gift for mom, so our hope is to present some amazing Mother’s Day gift ideas, which you can also have a chance at winning! Each participant blogger is featuring prize(s) valued $25.00 or more. This event begins on May 9th and runs until May 15th at 11:59PM (EST). Don’t forget to scroll to the bottom of this post and hop down the linky list for many more chances to win. Good luck and Happy Mother’s Day! For my giveaway for the Mama Love Giveaway Hop, my wonderful sponsor Francisca Montgomery, Independent Origami Owl Designer is back to offer another fantastic giveaway!! I first reviewed my living locket from Origami Owl back in December as part of my holiday gift guide. I won't repeat everything here, but you can read that review here, as well as my Origami Owl Tagged review here. Five months later, and I still adore my locket! It is such a unique piece of jewelry...and absolutely perfect for Mother's Day! As mom's we love bragging on our kids, right? So, why not spoil yourself or the special mom in your life that will allow them to do just that? Use initial charms, birthstones (they offer both plain birthstones or boy/girl birthstones) or charms that represent each child's interest! When I first got my locket, I chose three charms that represented my family as a whole-the Marine Corps emblem, a crown (to represent how my husband and I met) and an Autism heart. I have since added a few more- like the angel wing to represent the baby we lost and baby girl feet to represent the baby we have on the way!! That's what makes these lockets so wonderful- you can add or remove charms as often as you'd like...this is especially great for the mom whose family is still growing but wants a piece of jewelry to represent her children!! And they're 100% unique to each person!! A gorgeous piece of jewelry that truly tells a story, any mom would be thrilled to receive one this Mother's Day!! Since my last review, a new catalog has been released, which means lots of great new charms and some new lockets as well- even a lovely black version, so pretty! Be sure to check out all the new products on Francisca's website! And be sure to visit her on Facebook as well!! All entries will be verified. Anyone found cheating will be disqualified. Winner will be contacted via e-mail after giveaway ends, and will have 48 hours to respond before a new winner is chosen. A Modern Day Fairy Tale is not responsible for prize delivery. Disclosure: I received the products for my initial review in exchange for that review. No additional compensation was received for this post. All thoughts and opinions are 100% my own. I love the Fleur de Lis charm. Perfect now I live in New Orleans! I would love to win this for my mom. She really deserves it!! I've been seeing these necklaces all over the place and I'm really wanting one... I'd love to win this! It would be for me. I love that mom charm and would also get my son's birthstone. I'd like to win so I could get some cute charms. I would love to keep this for myself and would love to win because it's so unique! I'd love to win this for myself. I don't have a lot of jewelry. I have been wanting one for a long time!!! I'd love to win! I've been wanting one for a while! :D I love the selection and the cause charms are great! A co-worker showed me one of the necklaces and charms that she purchased and I loved it. Would like to get one for my daughter. 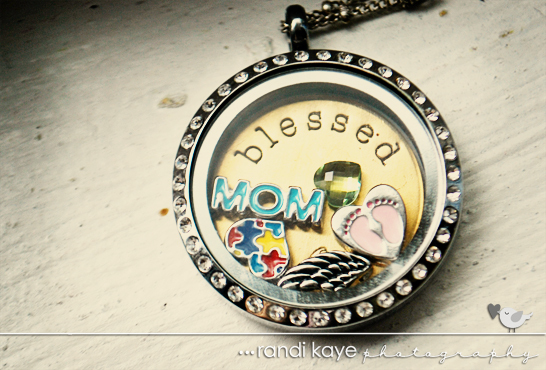 I would love to win so that I can create a personalized charm pendant for myself with my grandchilden's names.